It might not show by our lack of blog entries – but The Linen Tree is constantly evolving! If you have not been by our store or explored our website in recent months – we are pleased to fill you in! 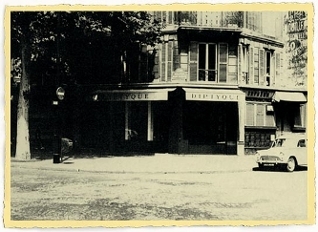 The Linen Tree now carries Diptyque of Paris. From humble beginnings led by three Parisian artists in 1961 France, Diptyque today is a world-renown purveyor of fragranced accessories. The company is particularly famous for it’s scented candles – which feature world class, natural ingredients, trademarked oval labels with block lettering, and most importantly – rich fragrances derived from a passion for re-creating treasured memories. The scents are carefully constructed with regard to nature, transcending femininity, masculinity, and culture. An up and coming brand despite it’s rich history – in recent years Diptyque fragrances have been the recipient of awards within such publications as Marie Claire Magazine and UOMO Magazine (of Japan). The Linen Tree is pleased to be one of two retailers within the state of Arizona to stock Diptyque. Also new at The Linen Tree: Lili Alessandra bedding. True to the vision of designer Sandra Gonzalez, we believe that Lili Alessandra’s offerings fit perfectly at The Linen Tree – they boast fine materials, beautiful designs, and yet they maintain an identifiable, truly unique flair. And while the Lili Alessandra on our display floor has already drawn serious interest, what makes this brand truly fun is that almost every item is made custom to order, and can be customized in many, many different ways based on your preference of fabrics, hand printed colors, and embroidery techniques. We have updated our About Us section (which is still under construction). If you have not done so recently, we encourage you to click on “About Us,” near the top of each page on our site. The purpose of this section is to give you the opportunity to learn more about our store, it’s history, and it’s people. As we continue to add to this section and fill in the blanks – our goal is to give you a better sense of what you experience when you take the time to physically visit our store. We have made improvements to our online Gift Registry. You don’t have to do any of the work yourself either – just visit our store, consult with our staff, and we will post everything on our website for you to ease access for your invitees. You will have your own dedicated URL, the ability to restrict access to that URL, and the ability to add text, photos, and more in order to customize the page which your guests will see. We can also assist in sending e-mail invitations. We have uploaded most available Sybaritic placemats to our site. Sybaritic placemats combine unique textures and shapes with rich colors, usually featuring fine quality faux leather surfaces with suede/felt type backing. They are handmade in New York, custom to order, and available in a very wide variety of textures, colors, and shapes. A long time favorite of our customers, most of the collection is now showcased on our website to ease the selection process. Do note however, due to incurred minimum order requirements, we reserve the right to refuse small quantity (less than 5) orders for certain individual placemats. Check back for more updates in coming months! We assure you they are coming! This entry was posted on Tuesday, July 13th, 2010 at 2:46 pm	and is filed under Official Updates. You can follow any responses to this entry through the RSS 2.0 feed. You can leave a response, or trackback from your own site.